The concept of site-specific sounds is not lost on Cevdet Erek. The artist, who will be representing Turkey at the 57th Venice Biennale, is best known for creating sound installations that react to and reflect on the architecture of a space. Erek’s sonic explorations, such as his critically-acclaimed work ‘Room of Rhythms’ at dOCUMENTA (13), staged in Kassel, Germany, in 2012, often use rhythm to challenge accepted ideas of space and time. ÇIN, Erek’s project for the biennale, will experiment with similar methods and concepts. At a press conference organised by the Istanbul Foundation for Culture and Arts (IKSV), co-ordinator of the Pavilion of Turkey at the biennale, the artist shared his preparatory work for the project, including sounds, images and drawings. Instead of trying to describe a project that is meant to be experienced on-site – ÇIN is still under development and will be largely shaped by Sale d’Armi in the Arsenale, Turkey’s long-term venue at the biennale – Erek proposed a thought exercise. He asked the audience to imagine a scene where a guard watching over a fenced-in ruin tries to speak to a visitor standing some distance away. Suddenly a violent noise occurs without warning, and both the guard and the visitor simultaneously cry out in pain. The cryptic scenario suggests that ÇIN will explore, among other themes, the ways sound can impede communication. Erek also introduced the project team, which includes the project co-ordinator Yelin Bilgin, the architects Gürden Gür and Elif Tunçel, the art historian (and Can’s sister) Ayşe Erek, and the visual identity designer Yetkin Başarır. 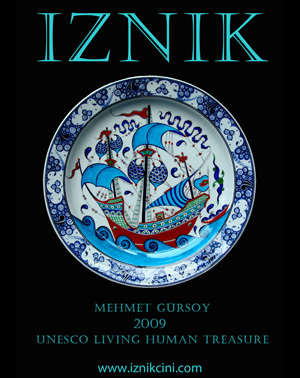 A new publication accompanying the exhibition will be available at the launch of the Pavilion of Turkey at the biennale. The 57th International Art Exhibition – La Biennale di Venezia, titled ‘Viva Arte Viva’ and curated by Christine Macel, will run from May 13 until November 26. The exhibition will be held in the historic Pavilions at the Giardini, at the Arsenale and in the historic city centre of Venice.